How long have you worked at Saunton? 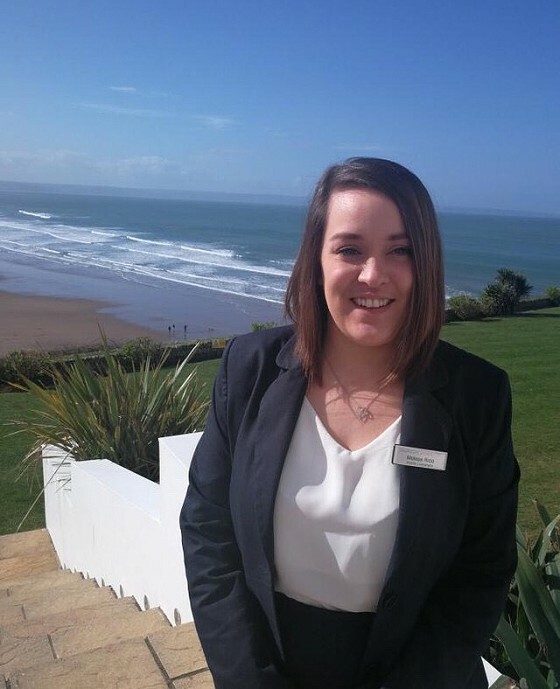 I’ve worked for the Brend Hotels Group for 11 years starting at the Park Hotel and moved to Saunton 5 years ago. The Saunton family and seeing all the guests enjoy their stay with us. What’s your best memory/ proudest moment from your time here? Moving to Saunton Sands and how I have progressed to my current role. If you could switch jobs with someone else at the hotel for a day, who would it be and why? Neil, our doorman, because I would like the interaction with the guests. What’s your favourite thing about north Devon? Beaches, ice creams and sunny days. What one thing would you recommend every guest tries while they’re here? Firstly, our new Source spa thermal suites – they are amazing! I would then say to explore our stunning walks and countryside. Nothing – I can’t sing, please don’t make me! A lot of things make me laugh – and sometimes I can’t stop – but I would have to say most of all Lee Evans and Impractical Jokers.